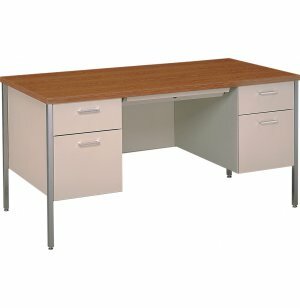 Steel Executive Double-Pedestal Teachers Desk 60"x30"
These Steel Teachers Desks have the space, security and functionality that your teachers need! Their features are truly office quality. 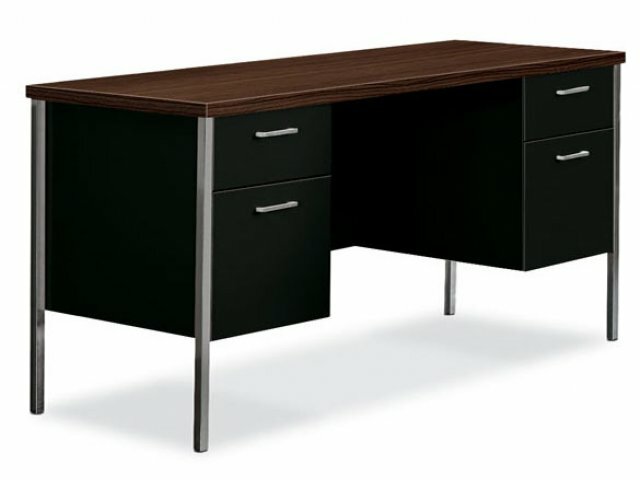 HON is a leader in the design and manufacturing of all kinds of office furniture. 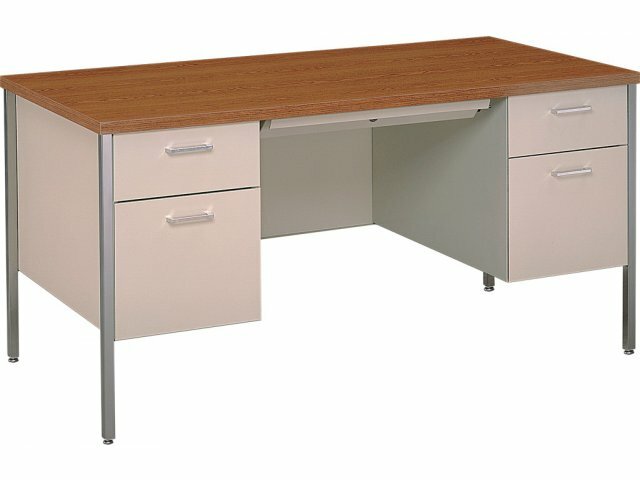 From executive to teachers' desks, bookcases to steel file cabinets, HON's top quality products cater to all segments of the population. Steel pedestals with full-depth drawers. 3/4 extention Box Drawer with one divider. Center drawer included (except ECD-6A). Hertz Furniture is a recipient of HON’s Award of Excellence. HON, a leading manufacturer of workplace furniture, has recognized Hertz Furniture for its expertise, loyalty to customers, as a leader in the office furniture industry.